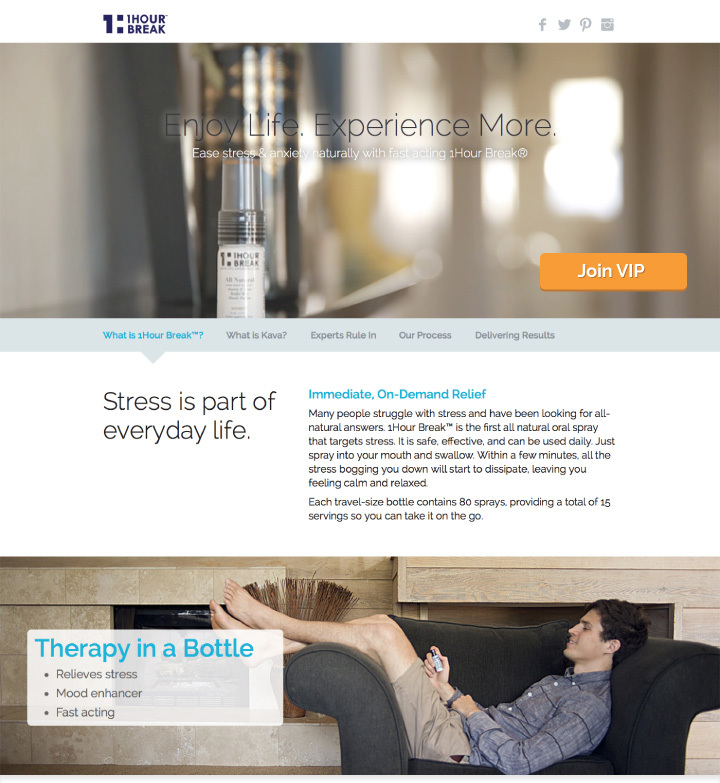 1Hour Break™ is the first all-natural, non-addictive, oral spray that eliminates stress and anxiety. It's designed for a modern lifestyle, as it is packaged in a convenient and purse-friendly bottle so you can have on-demand stress and anxiety relief--anytime, anywhere. It's really as easy as spraying in your mouth and swallowing.